None of the 4,612 employers surveyed across sectors by US-headquartered workforce solutions company ManpowerGroup said they planned to downsize in April-June. 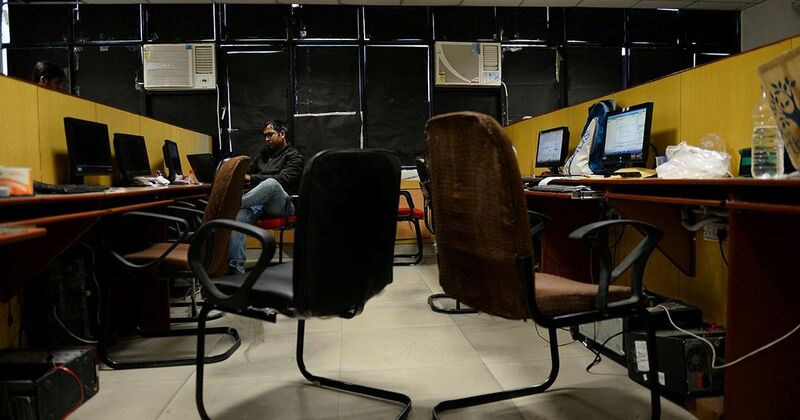 After a year that saw over 56,000 layoffs in India’s tech sector alone, there may be some respite for professionals. None of the 4,612 employers surveyed across sectors by US-headquartered workforce solutions company ManpowerGroup said they planned to downsize in April-June 2018. But the scene is not all rosy. While there won’t be layoffs, hiring as such will be lower than in previous quarters. Around 16% of the respondents foresaw higher staffing levels, five percentage points lower than in the previous quarter and two percentage points weaker than the second quarter of 2017, the report said. Most new jobs in this quarter would come from small businesses that employ between 10 and 49 people. The wholesale and retail trade sectors in the country are the most upbeat about hiring, followed by services, finance, insurance, and the real estate sectors, the report said. Upskilling and reskilling remain key, though. 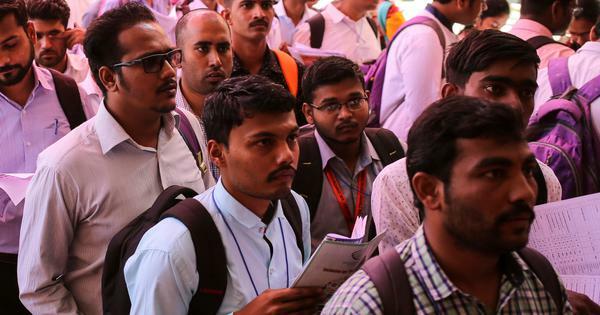 “Indian job seekers are likely to benefit from the positive labour market during the April-June period. In the coming times, technology will change the job market dynamics and individuals need to adopt skillsets to remain employable,” said AG Rao, group managing director at ManpowerGroup India. For instance, the demand for employees skilled in emerging areas such as artificial intelligence and machine learning is set to rise. 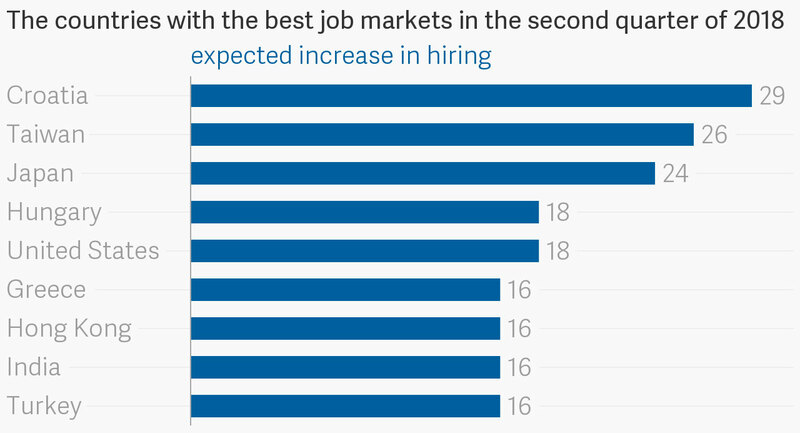 Meanwhile, the hiring scene is looking up in other countries, too. ManpowerGroup interviewed over 59,000 employers globally and found that the job markets are upbeat in Taiwan, Japan, Hungary, and the US, while Italy, the Czech Republic, and Switzerland presented weak outlooks.